Cancer treatments are designed to selectively target cancer cells, while sparing the normal cells of the body. To design drugs with these properties, researchers must understand what makes cancer cells different from normal cells. For example, chemotherapies are designed to kill cells that are rapidly dividing, which is one of the hallmarks of a cancer cell. However, many normal cells also rapidly divide and are affected by chemotherapy, which is a major cause of the toxic side effects of chemotherapy. In addition to targeting cancer cell behavior, cancer therapies may also target certain molecules commonly expressed by cancer cells. These types of therapies are often developed by comparing the expression profiles of cancer cells and normal cells. In particular, Lifeline® cells are excellent models for normal cell controls in this type of cancer research. In addition to their usefulness in identifying differences between normal and cancer cells, Lifeline® cells can be used to test drugs under development for anti-cancer therapy. Researchers often compare the effects of anti-cancer drugs on cancer cells versus normal cells, with the goal of developing a drug that selectively targets cancer cells and spares normal cells. Below, we have summarized five studies that have utilized Lifeline® bladder or renal cells as normal controls in cancer research. The bladder and kidneys are part of the excretory system, which is responsible for filtering waste and eliminating it from our bodies. The kidneys regulate fluid homeostasis in the body by removing excess salt and waste products from the blood. 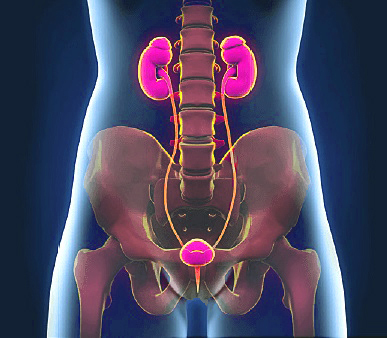 The two kidneys are in turn, connected to the bladder by ureters, which transport urine—the collated waste removed from the blood—from the kidneys to the bladder. Urine is eventually expelled from the body through the urethra. Mukherjee and colleagues investigated the role of SETD6 in bladder cancer using Lifeline® human bladder epithelial cells as a normal control. They examined the expression of SETD6 (a regulator of NF-κB signaling) in bladder cancer lines and bladder cancer samples from patients, and found that compared with normal bladder epithelial cells, SETD6 expression was upregulated in the context of bladder cancer. This overexpression resulted in increased cell survival, and the authors demonstrated that this occurred through p65 and the NF-κB pathway. The authors concluded that SETD6 is a potential therapeutic target for bladder cancer, and in fact, a SETD6 inhibitor, palmatine, is already under investigation. Fernández-Gallardo et al. used Lifeline® human renal proximal tubule epithelial cells to test the anti-cancer activity of heterometallic titanium-gold complexes, which the group developed as an alternative to current chemotherapeutic drugs, which have some undesirable side effects. The authors found that the heterometallic compounds were toxic to renal carcinoma cells; treatment with their most promising compound reduced renal carcinoma cell migration and reduced tumor growth in an in vivo xenograft model. Importantly, these heterometallic compounds were less toxic to normal human renal proximal tubule epithelial cells, suggesting they could be used as chemotherapeutic compounds that may have reduced side effects. A study by Islam et al. investigated the efficacy of combined treatment with acetaxolamide (AZ) and sulforaphane (SFN) for bladder cancer. AZ is a carbonic anhydrase inhibitor that alters pH homeostasis, while SFN is an isothiocyanate that targets survival pathways. Treatment of bladder cancer cells with combined AZ and SFN had more anti-cancer effects than either compound alone, including reduced cancer cell viability, proliferation, and xenograft tumor growth. Importantly, AZ+SFN treatment had reduced effects on Lifeline® normal bladder uroepithelial cells compared with cancer cells. Wei and colleagues used Lifeline® human bladder epithelial cells to demonstrate that expression of ATPase inhibitory factor 1 (IF1), an inhibitor of apoptosis, is upregulated in bladder cancer. Using knockdown studies, the authors found that IF1 activity in bladder cancer cells is important for cell cycle regulation, and loss of IF1 function decreased bladder cancer cell proliferation and migration. The authors therefore identified IF1 as a novel therapeutic target in bladder cancer. Sulzmaier et al. examined the mechanism of the anti-cancer effects of Englerin A, which naturally occurs in the bark of the plant Phyllanthus engleri and inhibits the growth of renal cancer cells. Using Lifeline® human renal proximal tubule cells as a normal control, the group found that Englerin A reduced renal cancer cell viability through necrosis, but did not affect that of normal renal cells. Together, the selectivity of Englerin A for renal cancer cells suggests that it may be an effective therapeutic option for renal cancer. How are you using Lifeline® cells and media products in your research? Let us know and your study could be featured here on our blog!